Smartphone fans everywhere, it seems, are obsessed with the notch and most seem to be of the opinion that it’s a thoroughly bad thing. For me, notches are neither here not there; notch or no notch, I’ll take every phone on its merits. 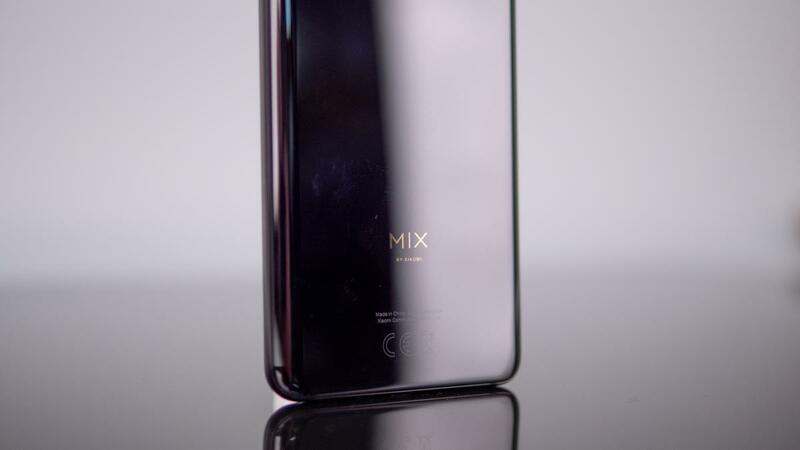 But those for whom the notch is a deal-breaker, phones like the Xiaomi Mi Mix 3 provide a solution to the problem. By using a sliding mechanism to hide the front-facing cameras behind the screen when they’re not needed, Xiaomi is able to deliver a phone that’s almost all screen. The question is, is it worth the drawback? On paper, you’re certainly getting a lot of phone for your money. 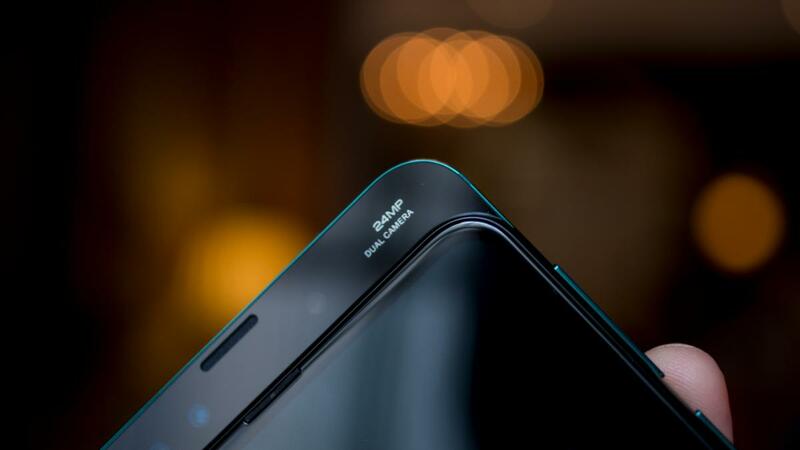 This smartphone has a large, 6.39in AMOLED screen that fills 99.3% of the front face of the phone and, courtesy of that clever sliding design, there’s no notch to get in the way of your viewing pleasure. It’s great to look at with the screen off, too and runs the latest Android 9 Pie. It has a Snapdragon 845 processor inside – the most powerful currently available to non-Apple devices – plus a dual, 12-megapixel camera at the rear and a dual 24- and 2-megapixel camera setup at the front. In short, it ticks all the boxes you’d expect of a modern, premium smartphone. The big attraction is that, just as OnePlus handsets have done for a few years now, it sells for a more reasonable price than most of its big-name rivals. That price is £499, which puts it in the same bracket as our favourite mid-range phone, the OnePlus 6T, and it has very similar core specifications: a dual camera, Snapdragon 845, 6GB of RAM, 128GB of storage and a large 6.4in screen. 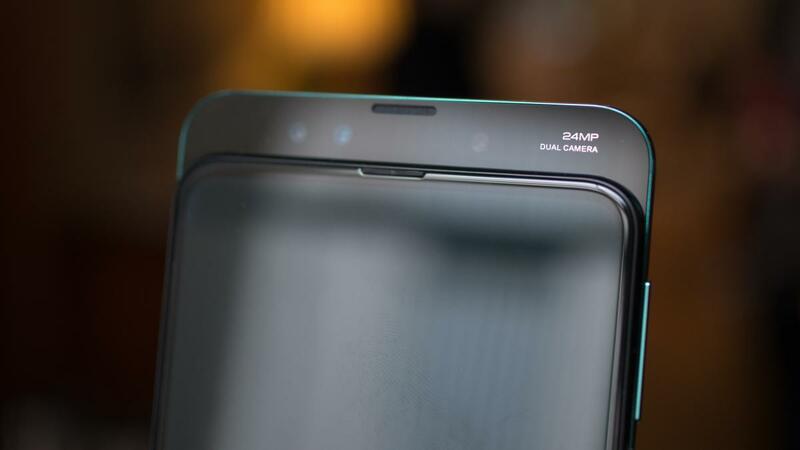 You can buy a Samsung Galaxy S9 for not much more but that’s a phone with a much smaller 5.8in display, only a single camera and is soon to be replaced by the upcoming Galaxy S10. 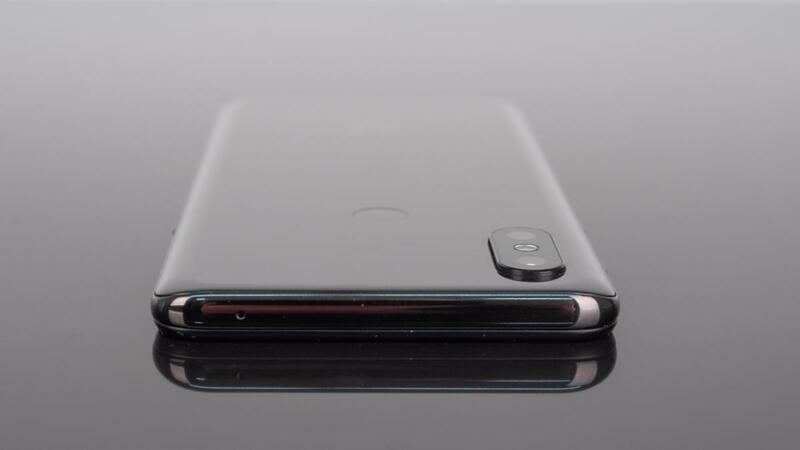 If you want a notchless phone but don’t care for the sliding design, the forthcoming Honor View 20 with its hole-punch front-facing camera may be more your style and Xiaomi itself has the Mi 8 Pro at £499 if notches don’t bother you all that much. If you want to spend even less, but don’t want to compromise on speed, there’s also the Snapdragon 845-toting Pocophone F1 at £329 – which is coincidentally made by a sub-brand of Xiaomi. The question is, does the Mi Mix 3 offer anything its rivals doesn’t? And is there any reason for choosing it over our current favourite, the OnePlus 6T? Well, it certainly gets off to a good start with a design and look that’s simply fabulous. In fact, at the price, there’s nothing apart from the Xiaomi Mi 8 Pro and its translucent chassis that comes close. The polished ceramic and glass body, subtle branding on the rear and body-filling display at the front all contribute to a sense of luxury that elevates it above the likes of the OnePlus 6T and even the Samsung Galaxy S9. It’s eye-catching, make no mistake, and robust, too, with Gorilla Glass 5 coating the front and scratch-resistant ceramic at the rear. It’s important to note that there’s no kind of officially IP-rated weather resistance here, though, or an in-screen fingerprint reader like you get on the OnePlus 6T. The rear one mounted here works well, enough, though. The main feature that sets the Mi Mix 3 apart from rivals at this price, though, is that sliding, camera-hiding, notch-killing mechanism and it works very nicely indeed. Pull down on the front glass and the phone splits in two with a satisfyingly positive snap, the phone’s dual front-facing cameras peeping out above the top edge ready for your close up. You can have this accompanied with a sound effect if you like, although you’ll surely drive your workmates to distraction if you don’t disable this in short order. More practically, it’s possible to customise what happens when you do this. Most will probably leave it at the default setting, which is to launch the camera app in selfie mode but you can also launch pretty much any app you like. It’s an unusual setup but it’s not one, I must say, that I’m a big fan of. The mechanism adds weight to what is already a pretty large phone – it’s 33g heavier than the OnePlus 6T – and has a knock-on effect on the size of the battery, too. Battery life is good, but imagine how good it would be if Xiaomi had managed to squeeze in a larger battery than the 3,200mAh one inside the Mi Mix 3. It would be wonderful. Aside from the slider, there’s nothing all that unusual about the rest of the layout. The volume rocker and power button sit on the right edge, there’s a USB Type-C port on the bottom edge between a pair of speaker grilles (the speaker is only mono, though) and there’s a dual-SIM slot on the left edge above the phone’s Google Assistant shortcut key, which can also be repurposed to launch search, the rear or front cameras and the flashlight among other things. 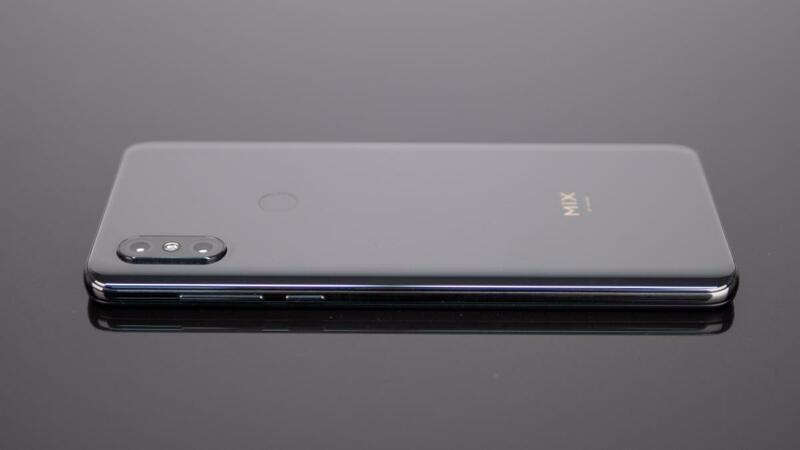 What the Mi Mix 3 doesn’t have is a microSD slot or 3.5mm headphone jack. Those are disappointing omissions but not unusual. What absolutely isn’t a letdown is the Mi Mix 3’s screen, which is glorious in its unadulterated 6.39in expanse. It uses AMOLED tech, just like most flagship phones do these days, and looks super vibrant as a result. It has a resolution of 1,080 x 2,340, which is perfectly sharp for every purpose – save perhaps VR – and it fills the front of the phone almost completely. This is all backed up by a solid set of results in our technical tests. Since an AMOLED panel is in use, the black is perfectly black with not a hint of grey and this lends images a fabulous pop. Peak brightness is pretty good too. According to my measurements, it tops out at 572cd/m2 although it only reaches this level in really bright ambient light. Interestingly, or perhaps annoyingly depending on your point of view, it’ll brighten automatically whether or not you have auto-brightness enabled. Elsewhere, the screen performs admirably. Colour accuracy is excellent – as long as you set the phone to Standard mode. Another key part of the attraction of the Xiaomi Mi Mix 3 is that offers the best performance available at a more reasonable price than big-name rivals. Thus, the Mi Mix 3 has a Qualcomm Snapdragon 845 inside, accompanied by 6GB of RAM and 128GB of storage. As mentioned above, there’s no microSD storage expansion, so there’s also a 256GB model with 8GB of RAM for those who want more space. Looking closely at the numbers here, you could say it’s a touch behind the Honor Magic 2, which has a Kirin 980 on board, but the differences are marginal. It’ll play all modern games, even PUBG Mobile at maximum settings, as smoothly as you like and in day-to-day use feels snappy and responsive. Not once did I spot any lag or slowdown or stability issues with the Xiaomi Mi Mix 3. I don’t particularly like the way Mi UI tweaks the look or Androids icons and notifications menu (let’s just say it’s non-standard) but once you get used to it it works smoothly and doesn’t get in the way. Finally, battery life is superb. In our video rundown test, the phone lasted 17hrs 44mins before giving up the ghost, which is right up there with the very best. Despite having a battery that looks down on capacity (3,200mAh) compared with its big rivalsmarket, the Mi Mix 3 will reliably last you a full day on a charge, even with moderate to heavy use. The camera is what separates the men from the boys in today’s smartphone world, though, and, as you probably won’t be surprised to discover, the Mi Mix 3 performs well in this department as well. It starts well, with a host of superb specifications. On the rear is a pair of 12-megapixel shooters: one standard wide-angle camera with an f/1.8 aperture and four-axis OIS (optical image stabilisation), and one 2x telephoto camera with an aperture of f/2.4. This is the same camera hardware as in Xiaomi Mi 8 Pro and although Xiaomi says it has improved the software to produce superior results, I’d say the two phones are pretty similar. The Mi 8 Pro was slightly better than the OnePlus 6T in low light and couldn’t match quite match it for HDR output and it’s a similar story here with OnePlus’ HDR mode punching up the contrast a touch more for a crisper, more impactful image. The Mi Mix 3’s portrait mode is decent, allowing you to adjust the level of blur after you’ve captured your photo, and this system works with both front- and rear-facing cameras. Skin tones do tend to look a little soft compared with best the OnePlus 6T can put out, although the Mi Mix 3’s bokeh is more dramatic. For video the Mi Mix 3 impresses once again, offering crisp 4K at 60fps, fully stabilised. It’s good to see 960fps slow-motion video on offer, too, and the 24-megapixel front-facing camera is excellent, packing in oodles of detail (the secondary 2-megapixel shooter is used for depth-mapping duties only). It’s just irritating that, in addition to having to slide the cameras up before snapping a selfie, you also, invariably have to wipe the lenses clear of dust accumulated between the layers of the phone. Despite this slight annoyance, though, the Mi Mix 3 has a superb camera. It might not quite match the OnePlus 6T for outright quality, but it’s a very close-run thing and with its secondary telephoto camera it offers a touch more flexibility than the OnePlus, too. 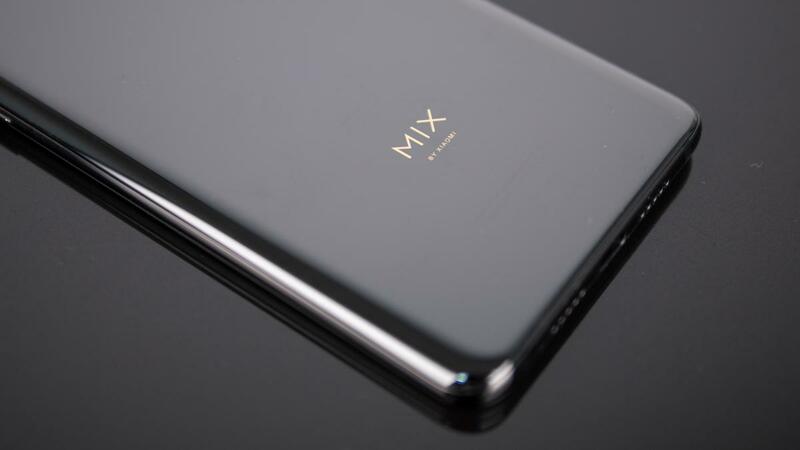 With the arrival of Xiaomi in the UK smartphone market, the days when there was an easy answer to “what’s the best mid-range smartphone to buy?” seem to be well and truly over. The Xiaomi Mi Mix 3 (and to a lesser extent the Mi 8 Pro) is a match for the OnePlus 6T in most areas and it costs the same as well. So, which to buy? For me, it’s tight, but I’m going to fall on the side of the OnePlus 6T. Why? Because it has a slightly superior rear camera to the Mi Mix 3, it’s lighter and a touch less fiddly. But the differences everywhere else are so slight that personal preference could easily sway you the other way. That’s why I’m going to give the Xiaomi Mi Mix 3 a 5-star Best Buy rating to equal the OnePlus 6T. It’s a wonderful handset and perfect for notch-hating smartphone fans everywhere who don’t want to spend the earth on the latest tech.